It is always fantastic to know that your solution is making a real difference to a customer. 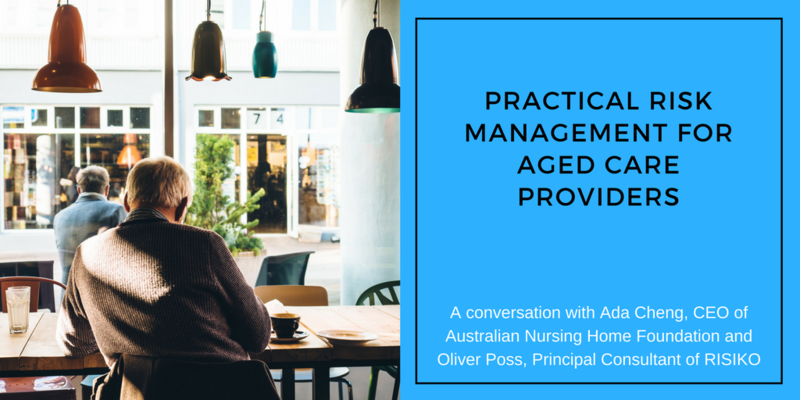 A few days ago, our customer, Ada Cheng, CEO of the Australian Nursing Home Foundation (ANHF) shared her experiences with Folio and with implementing a practical risk management framework for ANHF, at a webinar that we organised. Ada shared her virtual stage with Oliver Poss, the Principal Consultant of RISIKO, a Sydney-based risk management consultancy. Oliver has been instrumental in developing a guiding ANHF through the implementation of their risk management framework. The webinar on ‘Practical Risk Management for Aged Care Providers’ offers an insight into how a structured risk framework coupled with an intuitive software solution and a quality implementation process can truly make a difference. ANHF was established in 1980 and has since grown to becoming one of the largest providers of culturally and linguistically diverse aged care in Australia. The requirement for CALD services is growing at a rapid rate given the diverse nature of Australia’s population. Ada during her tenure as CEO of ANHF has tripled both revenues and portfolio. Given the growth that ANHF has achieved, Ada saw the need and the importance of having a structured risk management framework in place, as a result, ANHF engaged RISIKO to help with this process. The key drivers for ANHF were to have a single system for all risks and to provide assurance to their Board that risks across the organisation were being managed. Key to the success of ANHF’s framework was it’s development and rollout by the risk management consultancy RISIKO. Oliver Poss, RISIKO’s principal consultant has over two decades experience as a risk an audit professional and has had roles at Lendlease, Ford Credit, Protiviti and government agencies. Oliver has drawn significantly on these experiences to develop a practical risk framework for ANHF. We believe we can showcase all our good risk management processes in Folio, an all-in-one system that we can show the assessor how the company can manage risk at all levels... I think that this is a very good, accountable system for any organisation that wants to commit to providing high quality risk management.